General TV Channel / Nepali TV Channel broadcasting from london. It is first Nepalese channel broadcasted outside Nepal. Nepali TV was established in 2005 with the aim of providing quality Nepalese language TV programs outside Nepal. 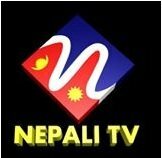 24 hr Nepali Tv channel. Nepali TV Broadcasting from London, across Europe and Middle East.